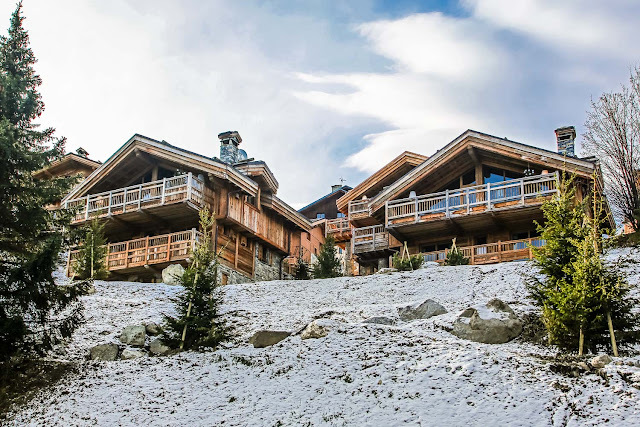 The alpine adventure begins just a three-minute walk from Chalet 4 on one of the legendary Courchevel Ski Resort’s many chairlifts. You’ll have instant access to the slopes and plenty of spacious lounge area for your group of ten in Chalet 4’s luxurious five-bedroom mountain estate. 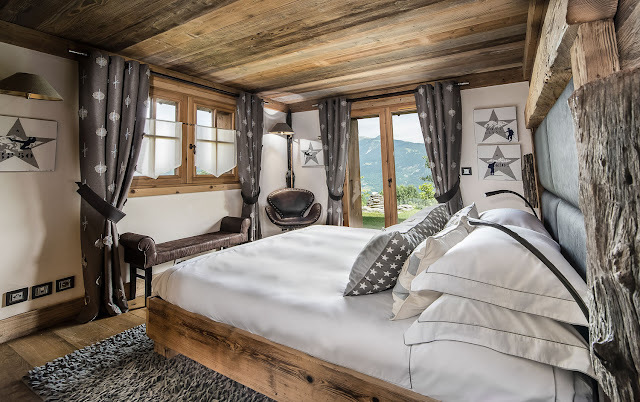 Perfect for a family vacation or retreat with friends and colleagues, Courchevel is one of the French Alps most exciting destinations, not only for skiing, but nightlife, dining, and shopping as well. 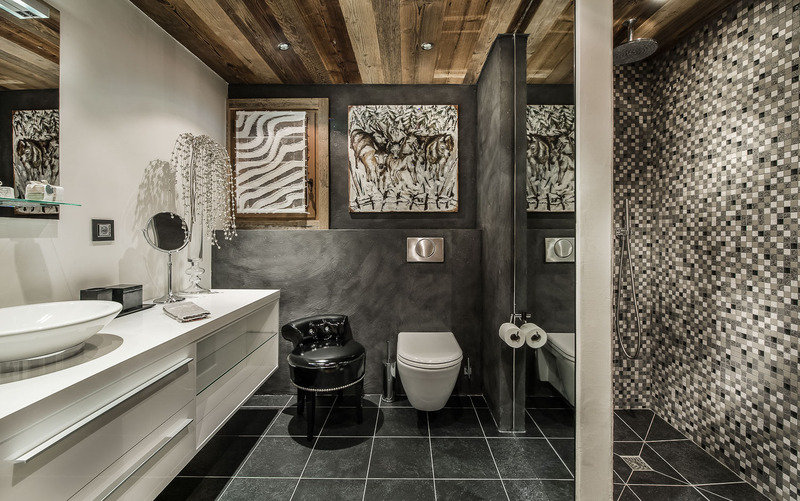 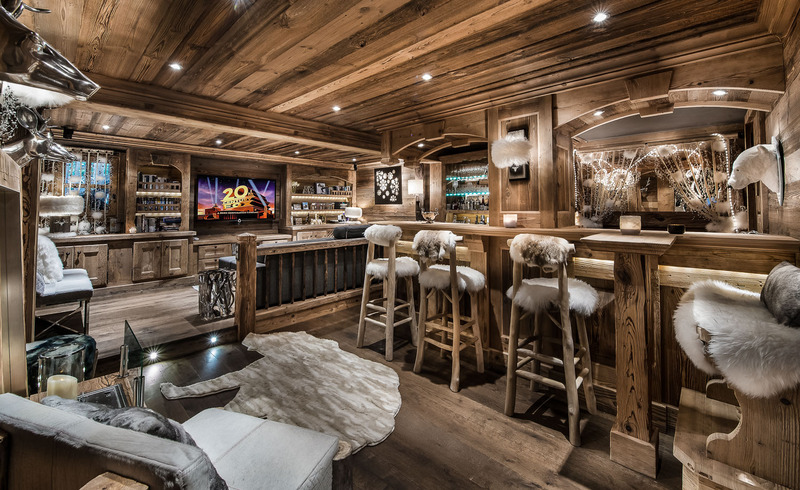 Chalet 4 delivers that warm, authentic ski lodge vibe that makes you feel at home after a day out in the snow. 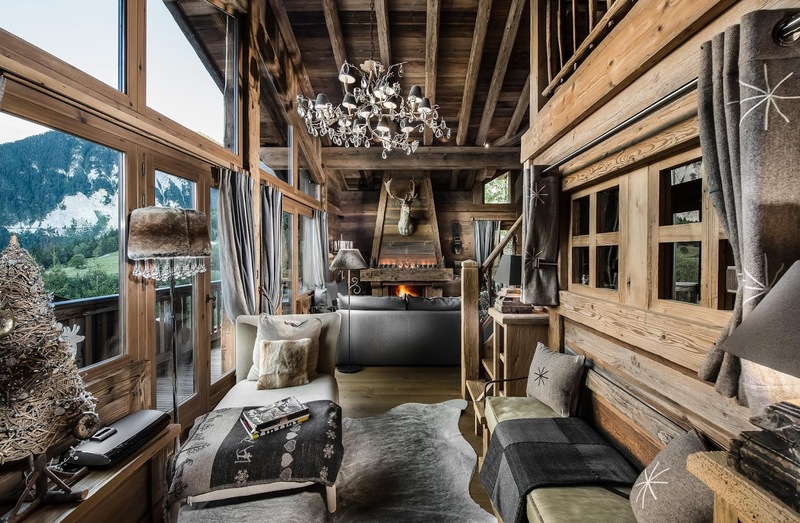 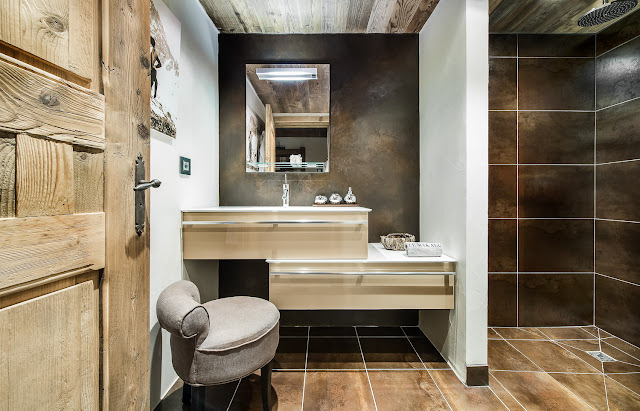 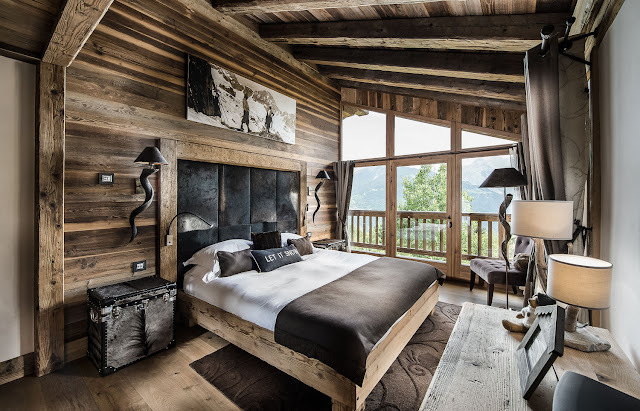 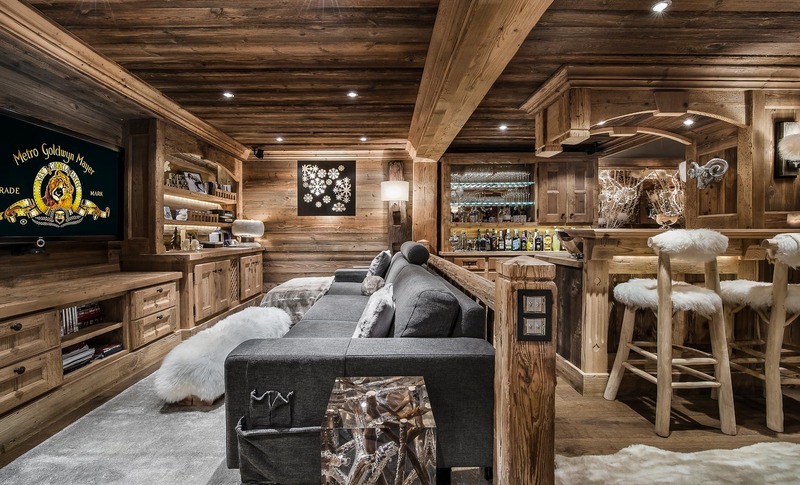 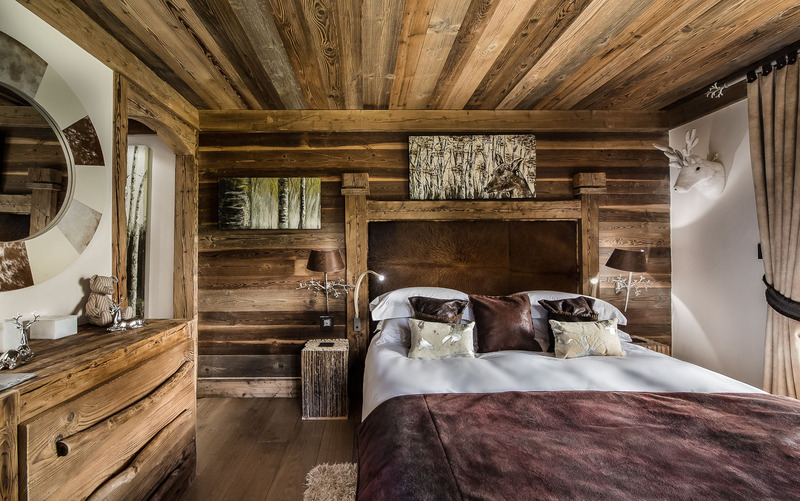 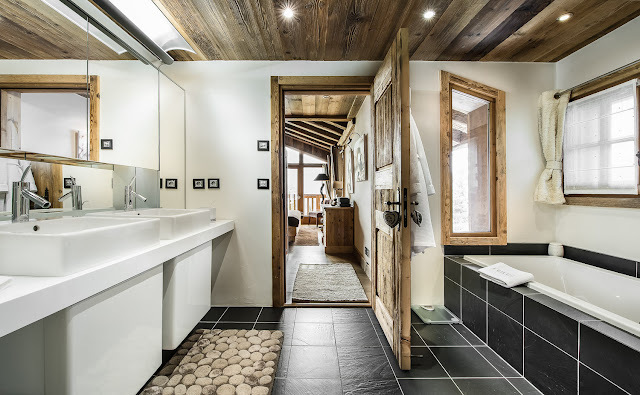 Decorated in exposed wood and stone, with leather furniture and fur accents, this chalet is exactly what you’d expect from one of the most luxurious ski destinations on the planet. 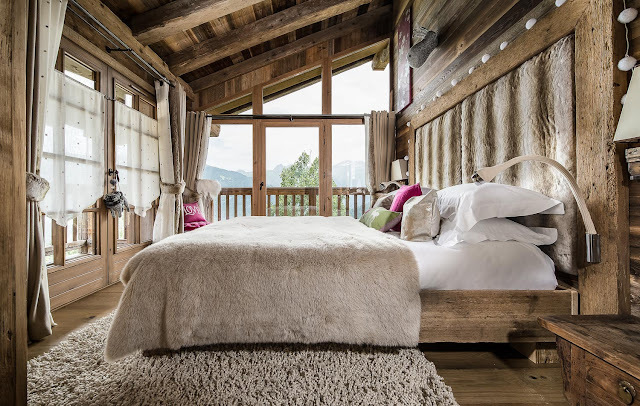 Each adult bedroom features a king sized bed, en-suite bathroom, and an incredible mountain view. The fifth bedroom is great for kids with its bunk beds, and en-suite. Get lost in endless mountain views from Chalet 4’s balcony, while you soak in the hot tub after a long day on the slopes; it’s the best way to rejuvenate so you can get up tomorrow and do it again. After you’re warmed up, head inside for dinner in the formal dining area, with seating for the whole group. After dinner, gather in the wet bar/home theatre lounge for cozy movie night. 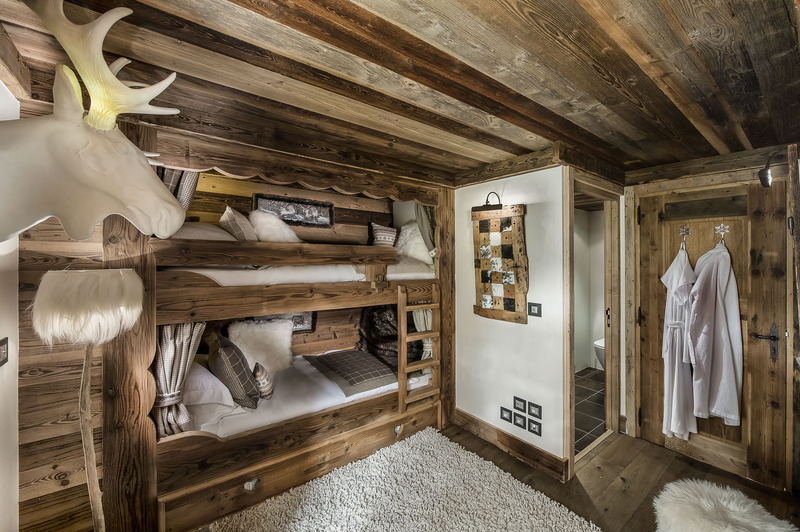 Chalet 4 is equipped with Wi-Fi and Apple TV. 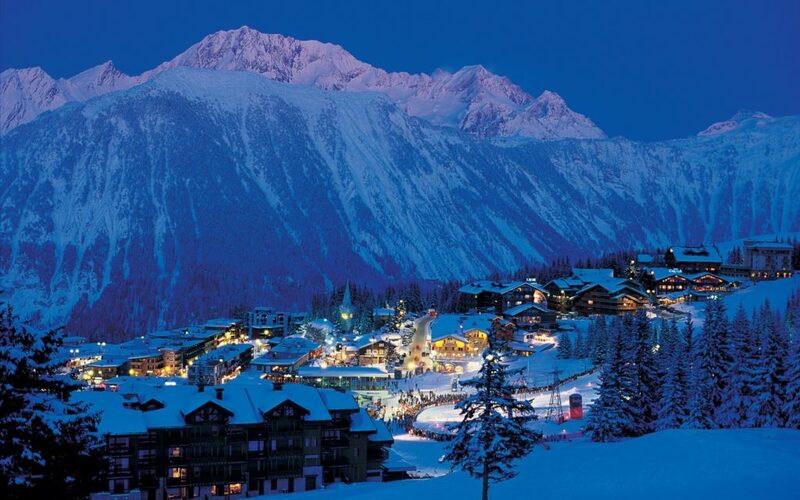 Courchevel’s city center is just an eight-minute drive from Chalet 4. There, you’ll appreciate a wide range of dining opportunities ranging from greasy spoons to Michelin starred restaurants and everything in between. 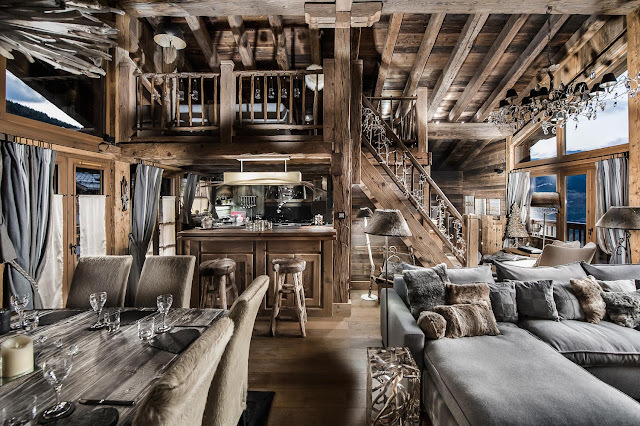 After dinner, this mountain town features an incredibly vibrant nightlife scene with its many bars, discos, piano bars, and nightclubs. During the day, skiing at Courchevel is the main attraction, but there are several other alpine activities to take part in, like dog sledding, snowshoeing helicopter tours, and snow tubing. And, if you feel like taking a day trip to a neighboring town, Chambery, Chamonix, and Grenoble are all about an hour away.